Our audit is special because of the people who do it as we only recruit the best, and they’re not afraid to get their hands dirty if it means they really get to understand your business. We train all our staff to anticipate client needs, communicate clearly and take ownership of their work. And because we draw on the experience of our senior partners across all disciplines, we take every opportunity to help your business grow. 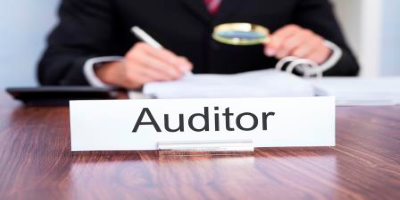 The basic principal of statutory auditing is to ensure that the financial statements such as the Balance Sheet, Profit & Loss Account and Cash Flow Statement give a true & fair view and are free from any material misstatements. Our audit approach comprises of deep understanding of your business and the industry in which you operate to enable us to design an effective audit plan. Our Audit Methodology has been designed to comply with the International Standards on Auditing, current statutes, Indian Accounting Standards and the guidelines issued by the regulatory board from time to time. Tax Audit is an examination of an entities tax affairs to check whether the transactions undertaken by them are as per the prevailing tax laws like declaration of all the assessable income or are they entitled to certain tax reductions or any tax offsets which they had claimed in their tax return. Our specialized taxation advisory team is well conversant with the tax laws of India and they are presently assisting many of our clients to file their tax audit returns within time. Our emphasis is on ensuring strong internal control systems to minimize the risk of accidental or deliberate errors and omissions. Safeguarding of assets, adequate division of authority over key control areas and compliance with internal operating policies and guidelines are other focus areas of our procedures. Productivity and efficiency of management are key determinants of an organization’s success. Our procedures aim to maximize management performance by focusing on improving processes within the organization. Our objective is to ensure that resources of the organization are optimized to deliver maximum possible value. We focus on streamlining processes, minimizing waste and objective measurement of management and staff performance. Despite designing and installing high quality control systems, organizations do face situations involving fraud and financial impropriety. We have assisted clients in unearthing such situations and taking remedial action. We assist clients in conducting financial, legal and accounting reviews in case of mergers, acquisitions and investments. A sound understanding of local laws, regulations and accounting practices enables us to vet all critical issues in detail. Accurately measuring and managing cost and accounting data is critical for management decision making and reporting. Our assistance in developing and installing these systems help management their decision making process.